Classic neoprene sleeve that I use for my laptop. Won’t protect agains hard bumps, but it keeps the iPad away for flying debris on bags. Fits snugly and for $5.99, you really can’t go wrong. I think leather is not the most accurate term for this leathery plastic. 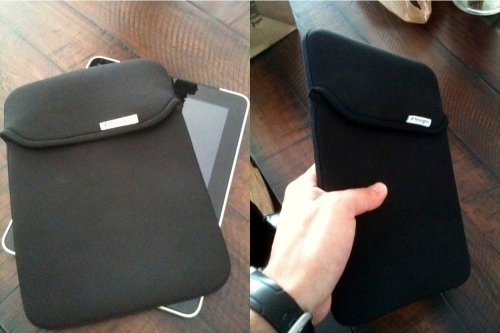 I mostly bought this case as a stop-gap measure for my Dad’s iPad until the Apple iPad Case is back in stock. 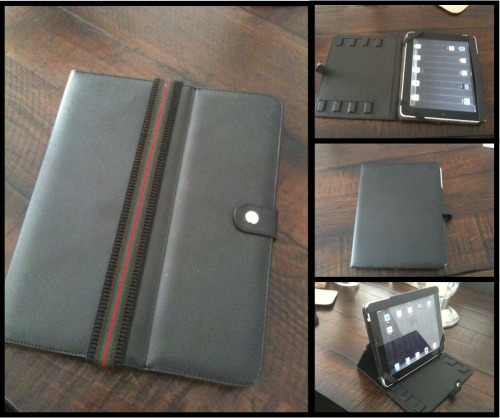 It’s not too bad, but doesn’t do justice to the iPad inside. It feels cheap and I’m pretty sure it wouldn’t survive too long with heavy use. I’m also not crazy on how it holds the iPad in place: two elastic straps that cover a little bit of the screen corners and a leather strap where you place one side of the iPad. It’s $26.25, and does satisfy my Dad’s main requirements for a while. You get what you pay for in this case. Flock and Opera Browsers Release Betas Both Flock and Opera released a beta today. Flock is Windows only, but the big news is that they moved to Chromium from Firefox as their base.